Researchers from the Sanford Burnham Prebys Medical Discovery Institute (SBP) have identified an epigenetic marker and two genes that caused heart failure in the children and grandchildren of fruit flies with high-fat-diet-induced heart dysfunction. Reversing the epigenetic modification or over-expressing the two genes protected subsequent generations from the negative heart effects of their parents’ diet. The findings of the study (“Intergenerational inheritance of high fat diet-induced cardiac lipotoxicity in Drosophila”), which appears in Nature Communications, helps explain how obesity-related heart failure is inherited and uncovered potential targets for treatment, according to the scientists. “Obesity is strongly correlated with lipotoxic cardiomyopathy, heart failure, and thus mortality. The incidence of obesity has reached alarming proportions worldwide, and increasing evidence suggests that the parents’ nutritional status may predispose their offspring to lipotoxic cardiomyopathy. However, to date, mechanisms underlying intergenerational heart disease risks have yet to be elucidated. Here we report that cardiac dysfunction induced by high-fat diet (HFD) persists for two subsequent generations in Drosophila and is associated with reduced expression of two key metabolic regulators, adipose triglyceride lipase (ATGL/bmm) and transcriptional cofactor PGC-1,” wrote the investigators. Eighty percent of genes that cause disease in humans are also found in the fly. Additionally, their tube-shaped heart consists of only 80 cardiomyocytes (in humans, this tube folds into the four chambers of our heart). Their similarity to humans, simplicity and short life cycle—a new generation is born every fifteen days—make fruit flies an excellent model for studying the genes that contribute to human heart health, noted the researchers. 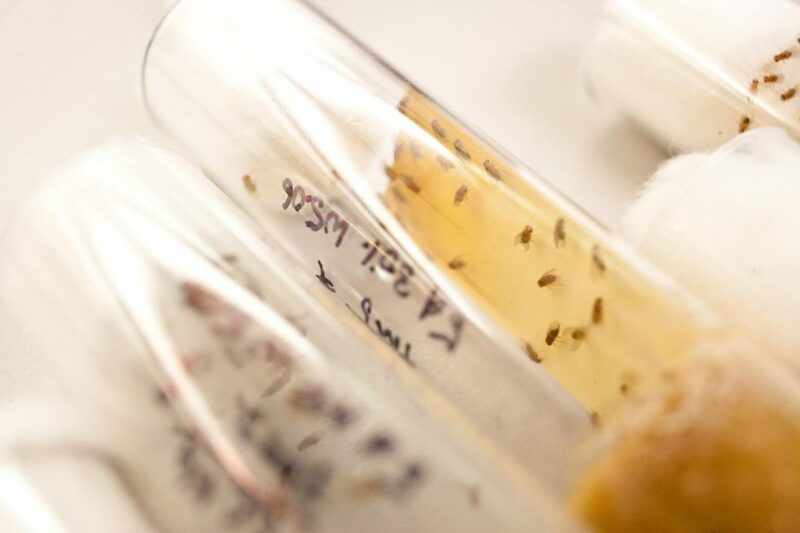 The researchers also identified two genes involved in metabolism that were turned down in the next two generations of flies, called bmm and PGC-1. Revving up the flies’ metabolism by overexpressing these genes also protected the hearts of the children and grandchildren of flies that ate a fatty diet. This protection lasted even if the subsequent generation consumed coconut oil. This study provides the proof-of-concept results needed to embark on further explorations, said the scientists.